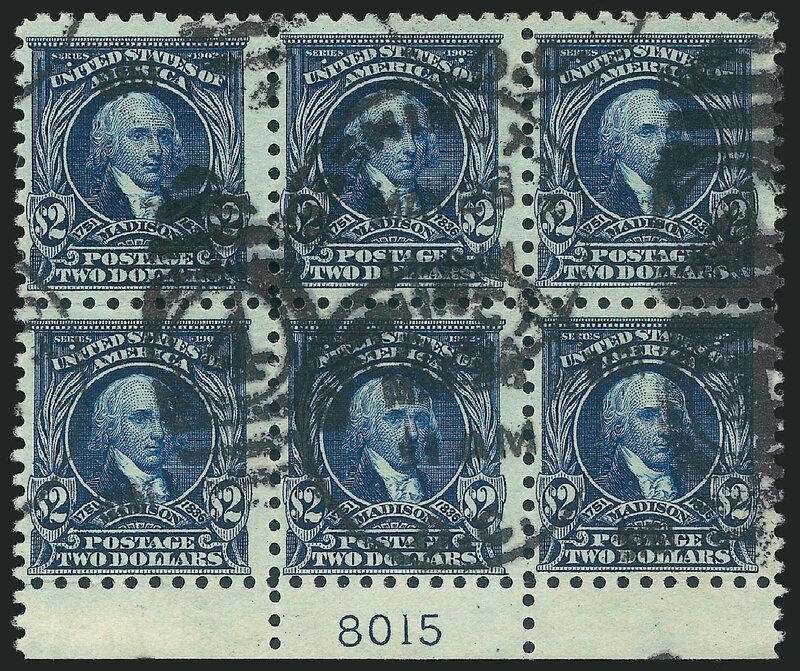 o U.S.; General Issues, 1917, $2 Dark Blue, Block of 12, #479, Used, attractive piece, fine to very fine. Scott $810+. Estimate price $400-500. 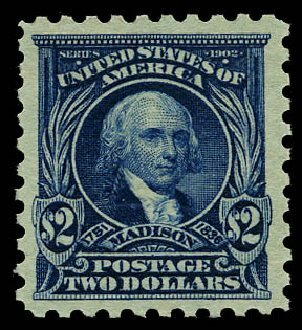 U.S.; General Issues, 1917, $2 Dark Blue, #479, n.h., nice margins, Very Fine to Extremely Fine, PSE (1998) cert. for block of 4. Scott $475. Estimate $220-270. 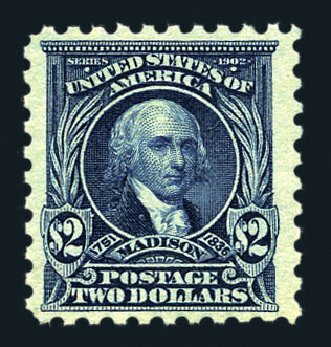 1917, $2 dark blue (Scott 479), o.g., never hinged, Post Office resh stamp with large margins and deep prooflike color, Very Fine to Extremely Fine, 1978 P.F. certificate. Scott $475. Estimate price $350 – 500. 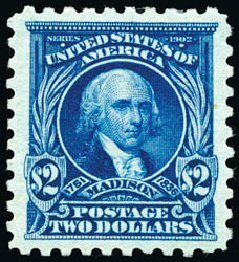 1917, $2 dark blue (Scott 479), o.g., never hinged, impressive example in pristine mint condition with bold rich color, Very Fine, 1991 P.F. certificate. Scott $475. Estimate price $350 – 500. 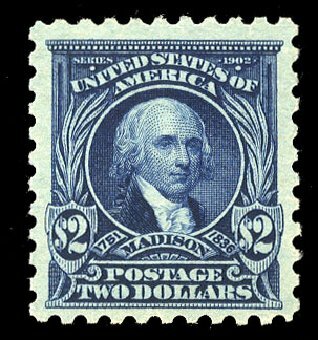 1917, $2 dark blue (Scott 479), incredibly fresh and perfectly centered with large even margins, a Superb gem, graded 2015 PSE certificate. SMQ Superb 98. Scott $40. Estimate $500 – 750 This the highest graded example of the 46 submitted! . 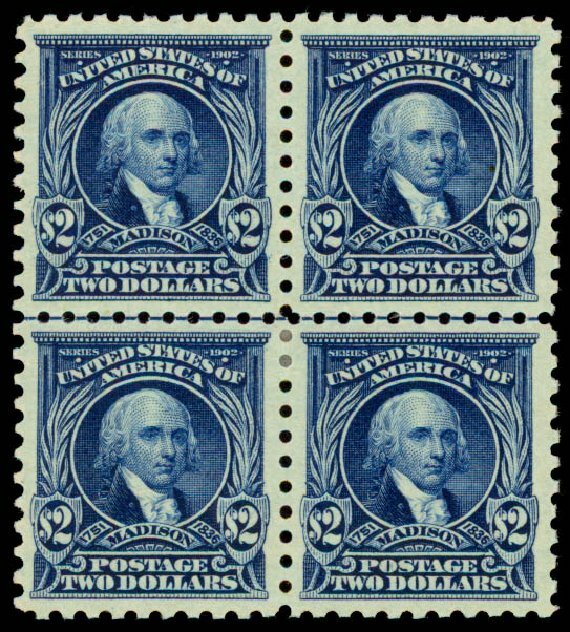 1917, $2 dark blue (Scott 479), block of 4, o.g., hinge remnant, gorgeous deep rich color and sharp detailed impression; reperforated at left not mentioned on accompanying certificate, otherwise Very Fine, clear 2014 P.S.E. certificate graded VF-80. Scott $925. Estimate $400 – 600. 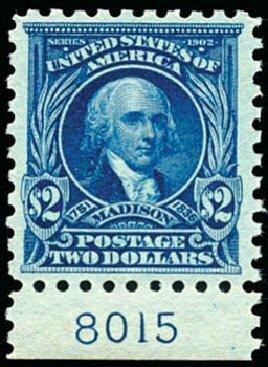 1917, $2 dark blue (Scott 479), o.g. with minute gum specks, well centered, possibly gradeable, Very Fine. Scott $210. Estimate $150 – 200. 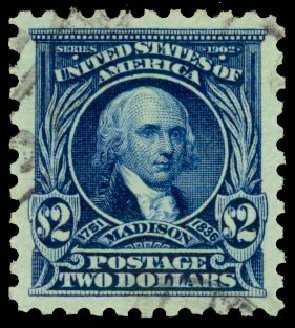 1917, $2 dark blue (Scott 479), bottom margin single with plate number, o.g., never hinged, fabulous deep shade, a pretty stamp, Fine to Very Fine. Scott $475. Estimate value $200 – 300. 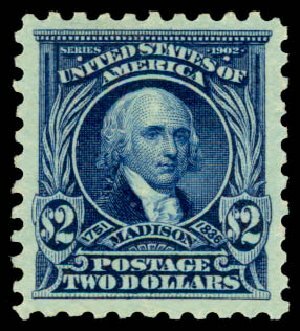 $2.00 Dark Blue (Scott 479). Wide selvage top plate no. 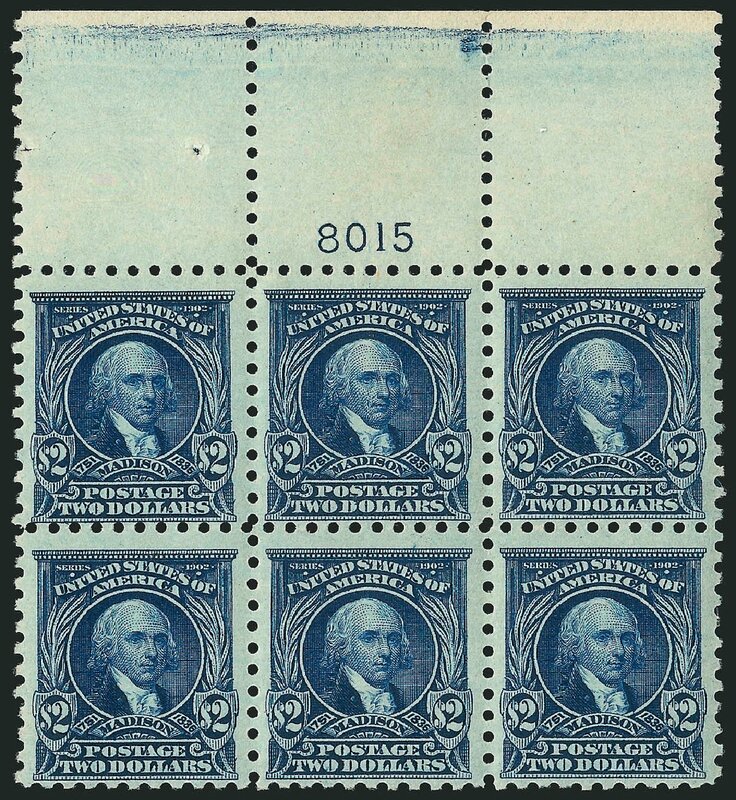 8015 block of six, four side stamps Mint N.H., center stamps lightly hinged, deep rich color FRESH AND FINE. 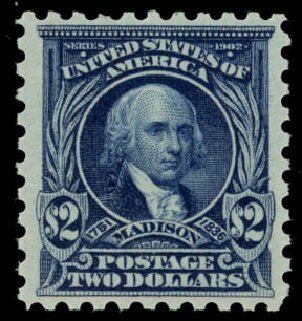 A RARE WIDE TOP PLATE NUMBER BLOCK OF SIX OF THE $2.00 MADISON PERF 10. 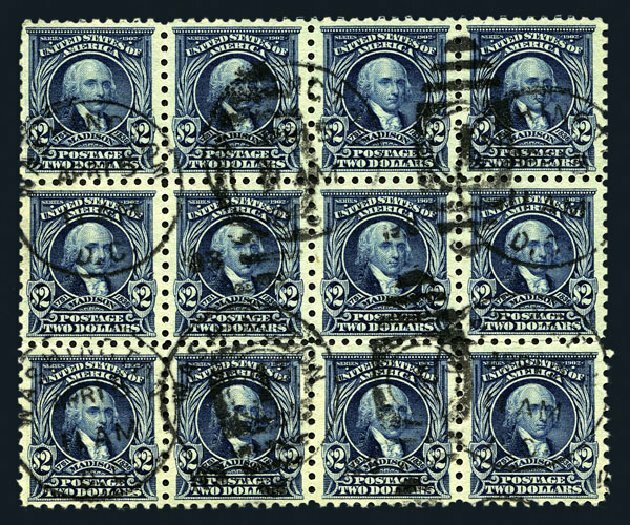 This is especially scarce as a wide top plate block. 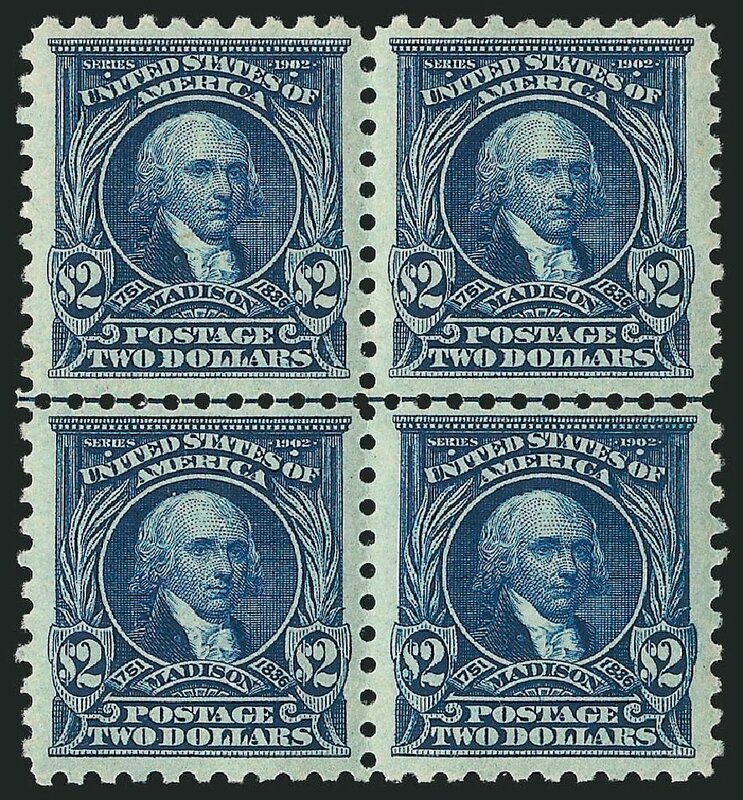 1917, $2 dark blue. O.g., fairly light hinging, choice centering amid wide margins, deep color, Extremely Fine and choice. Scott No. 479; $210. 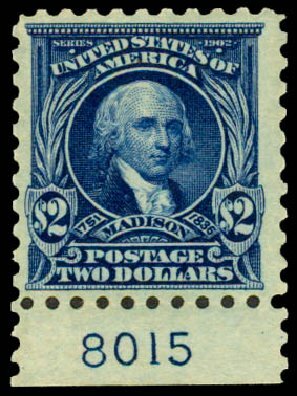 1917, $2 dark blue. Bottom margin plate number “8015” single, o.g., never hinged, deep rich color, fresh and Very Fine, with 2004 P.F. certificate. Scott No. 479; $475. 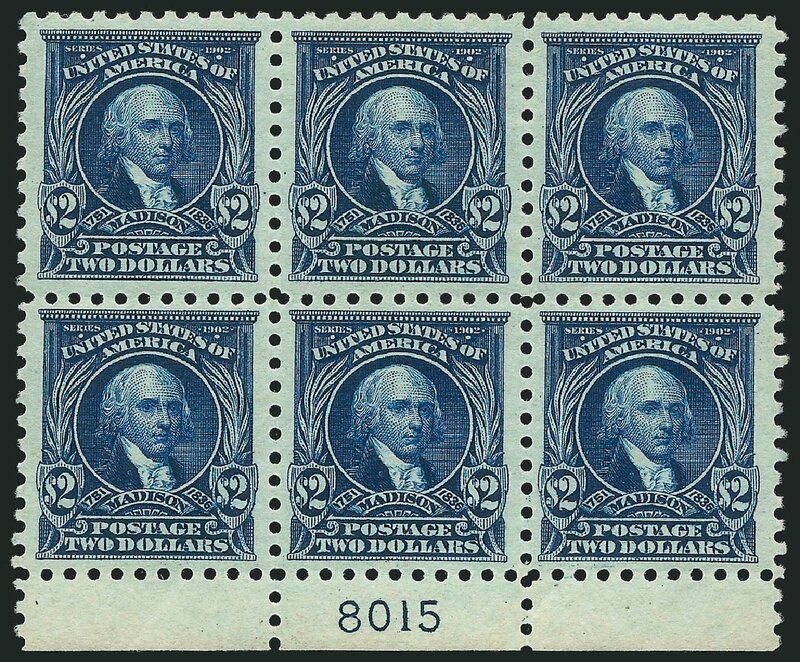 United States 1910-30 Issues 1917 $2 dark blue, n.h., wide margins, v.f., with 2002 APS cert.